In health, the body keeps the blood sugar levels within very narrow limits. The levels are controlled by insulin, which is produced by tiny cells called islets within the pancreas. At its simplest, diabetes is a state of high blood sugar, which may result either from failure of the islets to produce insulin, or from failure of the tissues to respond to it. In either case, the blood sugar levels rise above the healthy limits, and cause the symptoms of diabetes. For the purposes of this description, sugar and glucose is the same thing, and are used interchangeably. In times past, diabetes used to be divided into childhood (Type 1) and maturity-onset (Type 2), but the distinction is not so clear nowadays. If we are to understand the difference, we have to understand a little bit more about the way in which insulin controls the sugar levels. The easiest way is to imagine a continuous loop like an elongated oval or ellipse. At one end of the oval are the islets which make the insulin, and at the other the tissues which respond to it. The curved lines of the oval joining its two ends represent the circulation. Insulin travels round the upper curve of the oval from islets to tissues and glucose round the lower from tissues back to islets. High levels of insulin drive glucose into the tissues, reducing the levels in the circulation. Low levels of glucose in the circulation reduce the release of insulin by the islets. Thus insulin controls the flux of glucose in and out of the tissues, while glucose controls the release of insulin by the islets. As there are only two components in the loop, there are really only two things that can go wrong – either the islets fail, or the tissues. The results of islet failure are easy to understand – insulin is no longer released, the blood glucose cannot be fed into the tissues and the levels in the circulation rise. Normally, the rising blood sugar would stimulate the islets to make more insulin, but of course they cannot. This type of diabetes, the so called type 1 diabetes, is characteristic of childhood where the immune system destroys the islet cells and makes the child dependant on insulin injections for the rest of his life. 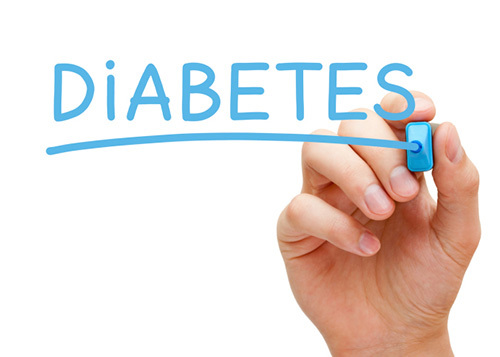 This is the least common – though often most publicised – form of diabetes, affecting less than 1% of the population. The picture is straightforward – high glucose (diabetes) and low insulin. Disturbances of the tissues at the other end of the loop are less straightforward, and need more explanation. The tissues are not damaged in the same way as the islets, but rather they become insensitive to the action of insulin – a condition called insulin resistance. Although there are many causes for insulin resistance, the commonest by far is obesity. It does not matter who we are, by putting on weight we will render our tissues less sensitive to the insulin we make. As a result, the glucose levels begin to rise because the insulin, although normal in amount, cannot work efficiently. The rise in glucose begins to stimulate the islets to make more insulin in an attempt to overcome the resistance of the tissues. If the body weight continues to rise, and the insulin resistance with it, then for each step up in insulin resistance there will be a step up in glucose and a corresponding rise in insulin. All might be well if the levels of insulin could keep up with the increasing resistance, but of course they can’t forever – the islets reach a peak. But the picture is very different from type 1 diabetes. Now, there is high blood sugar (diabetes) and high insulin, rather than low insulin. This is the picture that typifies type 2 diabetes – a condition that is five to ten times commoner than type 1. For decades, patients and doctors alike have been obsessed with controlling blood sugar in type 2 diabetes, helped by new technologies such as HBA1C (a long-term measure of glucose control) and gadgetry which can measure blood glucose quite accurately from finger pricks. It was not until some 20 years ago, however, that we began to understand the real problems of type 2 diabetes – caused not by high levels of sugar, but by high levels of insulin. Insulin drives a whole series of other metabolic disturbances in the body, which are arguably more serious than the high blood sugar. 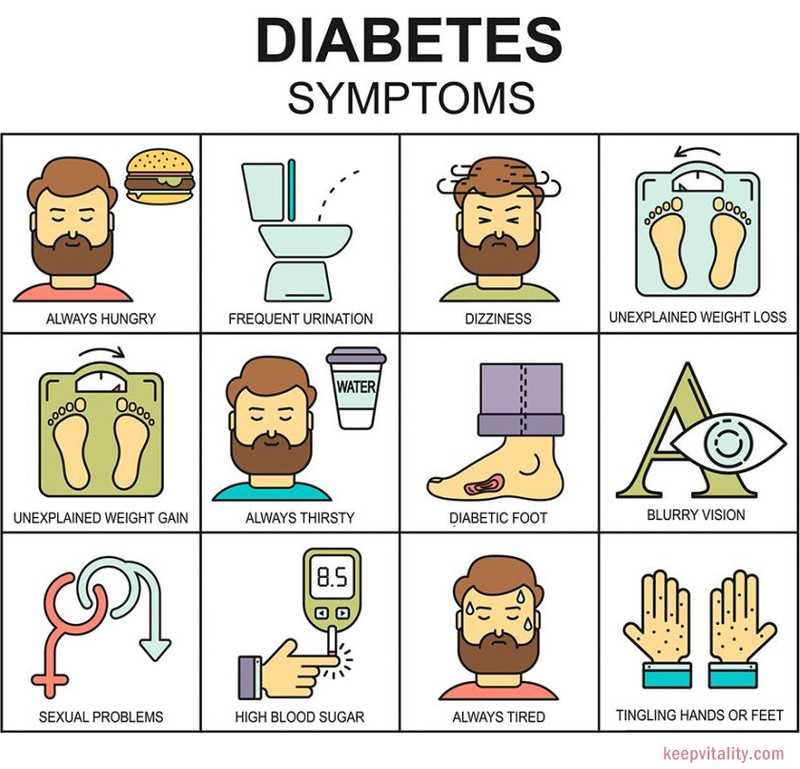 Many patients with type 2 diabetes are unaware of it until a high blood sugar is picked up during a “well person” check or insurance examination. Meanwhile, high blood insulin levels have been doing their worst. If insulin resistance is looked upon as the hub of a cartwheel, then the spokes are the metabolic disturbances, which it drives. High blood insulin is associated not only with high glucose (diabetes), but with high blood cholesterol (atherosclerosis), high blood pressure (stroke), high blood triglycerides (pancreatic disease), high blood viscosity (thrombosis), high blood coagualabiltiy (thrombosis) and blood uric acid gout). All of these on their own are risk factors for coronary heart disease. 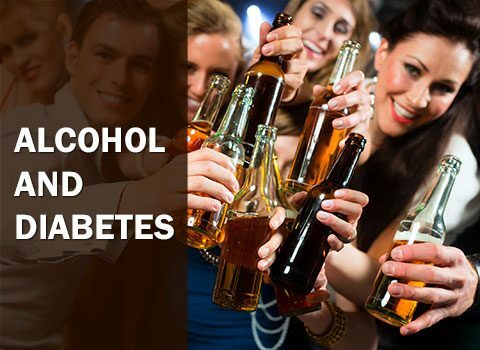 When they occur together – which is what happens in type 2 diabetes – they are catastrophic. They have been dubbed the ‘deadly sextet’, and in medical parlance are referred to as the metabolic syndrome. One disorder – that of insulin resistance – is responsible for the major part of ill health in the industrialised world. For years, doctors thought that early heart attacks, stroke, blood pressure and gout were all “complications” of diabetes. We now recognise that they are not complications, but associations, all of them the result of insulin resistance and all of them processes that work unfavourably on our bodies from the moment insulin resistance starts. No surprise then, that by the time they are diagnosed, half of all type 2 diabetics have “complications”. But the ravages of insulin resistance do not end here. A condition that came to be known as polycystic ovarian syndrome (PCOS) combines loss of menstrual periods, hormone imbalance and unwanted hair growth with infertility. It was long thought to be due to an abnormality of the ovary, and only in the mid-1990s was it recognised as the seventh spoke of the metabolic wheel. PCOS, like type 2 diabetes, is associated in most patients with weight excess and in all with insulin resistance. High levels of insulin drive the hormone imbalance and the hormone imbalance prevents ovulation. Estimates suggest that some 5% to 7% of young women in the UK are now unable to have children because of PCOS. Because loss of periods and infertility are so obvious as symptoms, PCOS is often the first spoke of the wheel to emerge clinically. 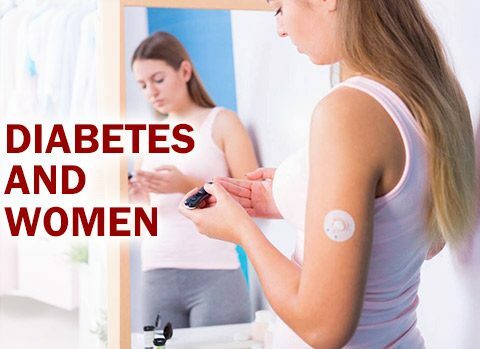 Inevitably, however, such women are at high risk of diabetes, high blood pressure, stroke and early heart disease unless something is done to reduce their insulin resistance. So much more is nowadays understood about type 2 diabetes and its relationship to a much wider range of disorders, which cause chronic ill health. Is the patient with type 1 diabetes exempt from all of this? Unhappily not. The type 1 diabetic who gains weight will inevitably become insulin resistant. Although he can make no insulin of his own, he will need to inject more and more insulin than before to control his blood sugar levels, and exactly the same cartwheel will begin to turn as it does in type 2 diabetes. There is only one road to metabolic salvation for the diabetic – the one that lowers his insulin resistance. Pre-industrialised societies that have not experienced obesity have not experienced diabetes either. Some 70 years ago, a French doctor from Marseilles noted that patients in his diabetes clinic whose fat depots were deposited high in the abdomen suffered more heart disease, blood pressure and strokes than those of similar amounts of fat deposited lower down in the buttocks and thighs. The so-called upper abdominal or “visceral” fat pattern, the ‘apple’ – is typically male, and the lower body deposition – the ‘pear ‘– typically female, though not exclusively so. The difference is not simply one of level in the body. Visceral fat is deposited within the cavity of the abdomen, around the organs, where it is hormonally active. Fat deposited in the buttocks and thighs lies under skin and is metabolically harmless. People, whether they be men or women, who carry fat in the abdominal cavity are insulin resistant, whereas those who carry their fat lower down, escape. Fatness is often expressed by a term called the body mass index. The BMI merely expresses weight corrected for height, but crucially it gives no information on weight distribution and is for that reason a poor predictor of insulin resistance. Waist circumference gives a better idea of upper abdominal fat content and is a better predictor of insulin resistance and health risk than BMI. Indeed, the combination in adult males of a waist circumference > 91cms and fasting triglyceride level in the blood more than 2mmol/L confers a risk for heart disease in the top 25%. In summary, it is the high fat levels in the blood that pose the health risk in diabetes, it is abdominal obesity that causes them and it is lifestyle that underlies both. Understanding what causes diabetes helps understand the symptoms that result. The circulation is a little bit like a bathtub with an overflow pipe. Once the blood glucose levels are high enough, glucose overflows into the urine (waste), and inevitably takes with it the water in which it is dissolved. High blood sugar levels therefore draw water out of the body, and that makes the diabetic thirsty. Indeed, the symptoms of which most if not all diabetics first complain are thirst and peeing a lot. They start having to get up at night, complain of a dry mouth yet will often not associate the symptoms with a disease for month’s even years. Of course, the glucose levels are high in the blood because insufficient is being driven into the tissues. As a result, the patient lacks energy. Once insulin resistance is improved, either by diet or medication, the symptoms will often disperse though damage to blood vessels caused by other spokes of the wheel will already be present. 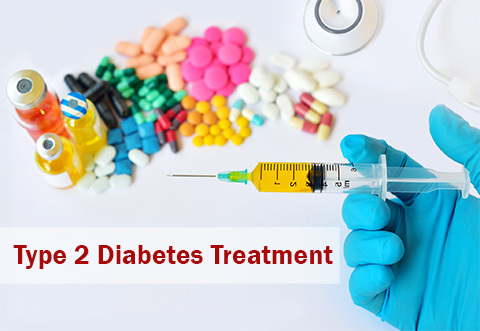 Nevertheless, if a patient with type 2 diabetes has got there because of weight gain, he has only to turn round and retrace his steps to regain the insulin sensitivity and state of good health, which he enjoyed previously. Easily said, but often difficult to achieve. The point is nevertheless and important one – insulin resistance is reversible with lifestyle change. The onset of type 1 diabetes is more acute, because the child rapidly runs out of insulin. This situation is potentially life threatening unless it is recognised and something done to reverse it. Without insulin, there are more yet complicated metabolic changes that threaten the patient. Without insulin, he cannot use glucose for energy and turns to his fat stores instead – sudden loss of weight is a feature of pre-type 1 diabetes. However, when fat stores are used for energy, so called ketones result, which are toxic to the body. Ketones cloud the consciousness and the semi-conscious young diabetic is at peril because he will not register the need to drink. The high glucose levels draw fluid from the child’s body, but it is not replaced. The toxins become more concentrated, consciousness is lost completely and the patient’s life is in danger. Only rarely will this occur with modern medicine, but the events distinguish the type 1 from the type 2 diabetic who, with his excess of insulin, does not have to use fats for his energy needs. There is another factor that distinguishes the slim type 1 from the overweight type 2 diabetic. The type 1 diabetic is troubled by only one metabolic disorder – a high blood sugar. High glucose levels are nevertheless toxic to tissues, in particular to the delicate membranes lining blood vessels. Most noticeable are the effects on the retina (retinopathy), the filtering mechanisms of the kidney (nephropathy) and the nerves (neuropathy). The blood vessels involved are small and the term ‘micro vascular’ disease is applied. The symptoms are respectively loss of vision, kidney failure and loss of nerve function. Sometimes, the neuropathy may cause pain syndromes and loss of sense of touch that makes the feet particularly vulnerable to damage. Problems with digestion, blood pressure and erection in the male may also occur. As was made clear earlier, however, the type 1 diabetic who goes on to become overweight will be become as insulin resistant as his neighbour. The doses of insulin he requires to control his blood glucose will rise and he will drive the same disturbances of fat metabolism that lead to large vessel or ‘macro vascular’ disease in the type 2. The term glycemic index describes how a food, meal, or diet affects blood sugar during the postprandial period (after dinner or lunch).  Studies suggest a role for dietary glycemic index in bodyweight regulation and diabetes risk. Recent work from the United States on rodents has shed important light on the impact of glycemic index. Dr. Ludwig and his colleagues from Harvard Medical School, Boston reported in 2004 on the response of rats and mice to diets, which provided the same number of calories, but widely different glycemic index. The aim was to separate the effects of glycemic index from the calories consumed, and the results were revealing. Despite having similar bodyweight at the end of the experiment, rats given high-glycemic index food had a lot more body fat and less lean body mass than those given low-glycemic index food. The high-glycemic index group were also less able to handle glucose (prediabetic), and had higher insulin and triglyceride levels. Mice on the high-glycemic index diet had almost twice the body fat of those on the low-glycemic index diet after 9 weeks. For the first time, these findings provide a mechanistic basis for interpretation of studies of glycemic index in human beings. These studies suggest that glycemic index may be important, not so much in controlling weight gain, but in partitioning calories between fat (which raises insulin resistance) and muscle (which reduces it). In other words, glycemic index affects body composition rather than body weight and, if we continue to monitor our fatness on the bathroom scales, this not-so-subtle distinction will pass us by. Many health centres now install machines that measure % fat by a simple system of bio-impedance (you simply stand barefoot on the machine’s platform, and a ticket is delivered telling you of your % body fat). So we are left with two issues – our true fatness and its distribution. Glycemic index as an independent factor can cause obesity, and increase risks of diabetes and heart disease in animals. Use of low-glycemic index diets in prevention and treatment now has a mechanism to explain how it works in human disease.